Are you looking for a low budget smartphone with premium features; then, Karbonn Titanium S5 is one such mobile released by Indian smartphone company Karbonn mobiles. Here are complete features, specifications and review of Karbonn Titanium S5 which costs about only Rs.11,990/-. Before you decide, look through this article whether this mobile satisfies your need. 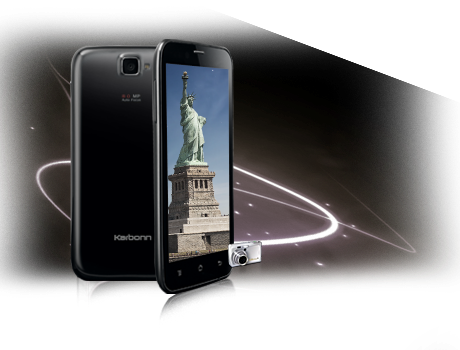 The Karbonn mobiles introduce a new smartphone into the Indian market at an affordable budget with latest features. They launched their product Titanium S5 at Rs.11,990. Though there is heavy competition between the premium smartphones, Karbonn mobiles released Titanium S5 with features equal to the premium mobiles such as Samsung Galaxy Grand Duos and other Indian competitors such as Xolo Q800 and Micromax Canvas A116 HD mobiles. Now see whether the features are enough to compete with the other smartphones. Karbonn Titanium S5 has 5-inch IPS qHD display. The IPS is the feature which is found in the premium mobiles. 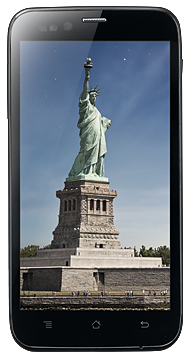 Titanium S5 is powered with 1.2GHz Qualcomm Snapdragon quad-core processor. 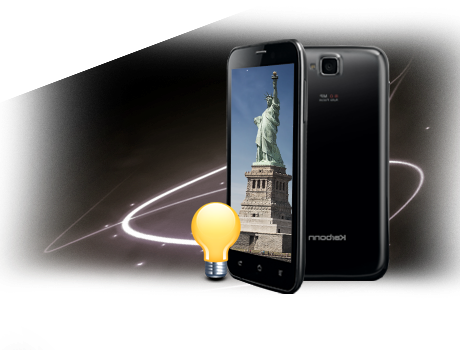 The 1.2 GHz quad core processor gives better performance during multitasking, apps navigation, gaming and even browsing. The processor is supported with 1 GB RAM which also gives additional support for the performance. There is 4GB internal memory. Titanium S5 has four different chip units to perform various tasks at a time. Karbonn Titanium S5 comes with 5 inch display. It is IPS q high definition display. The front panel is occupied by the display with home button, menu and the back button at the bottom. There is front camera at the top left near to which is the earpiece and the sensors. The power button is on the right side and the volume control on the left side. The back panel has the primary camera at the top centre, speakers and the brand Karbonn at the bottom. It has an ear phone port and a port for charger or the USB cable. The back panel is smooth and easy to handle. There are battery slot and dual SIM slots at the back panel. There is also a memory card slot. The design is also good and handy comparing to its previous models. Titanium S5 has 5 inch IPS HD display with the resolution of 960*540 pixels. It has capacitive touch controlled display. It also supports multi touch control. The wide display and the HD features give better images, videos display. The rear camera is at the top center of the back and the front camera at the top left in front. The primary camera or the rear camera is 8MP camera. The back camera is supported with the autofocus on imaging, powerful LED flash light which gives better images in the indoors, image stabilization that adjusts focus and snapping and gives quality images. Titanium S5 has 2MP front or secondary camera that allows the user for imaging and video calling using the third party apps such as Skype available in the play store. Both the cameras have video recording option. Karbonn Titanium S5 is preloaded with the latest version of the Android version 4.1 Jelly Bean. It is powered with quad core processor qualcomm snapdragon chipset. The speed of the processor is 1.2 GHz processor. There are four independent chipset units for better performance of the multiple different apps at a time. This special separate chipsets allows the user to switch the apps, browse and play games without any breaks. There is inbuilt Android browser, Radio and several apps downloaded from the Google play store. The Karbonn Titanium S5 has dual SIM support with dual standby. The SIM 1 supports 3G and the SIM 2 supports 2G network. The processor and the chipset are supported with 1 GB RAM for optimum performance of the device. There is 4 GB internal memory but the user memory differs from the actual memory which depends on the software. The internal memory is added with the expandable memory. The maximum allowed external memory is up to 32 GB through the microSD memory cards. The proximity sensor senses by turn off the screen to prevent the unexpected touch during the calls. It works when we bring the device closer to the ear while calls. The proximity sensor is the feature found in almost all the smartphones. Titanium S5 has the acceleration sensor which rotates the screen to the direction of motion that is on tilting. The display automatically changes to the landscape mode and normal mode through the acceleration sensor. The light sensor feature in the S5 adjusts the light automatically which helps to save battery and user friendly visuals such as videos and images. The brightness and the contrast are changed by the light sensor. The battery saving is an automatic feature in Titanium S5 through the light sensor. Karbonn Titanium S5 has GPRS and EDGE for the internet connection. There is WAP support, Bluetooth with A2DP support, 3G data connection through the HSDPA and HSUPA. It also has Wi-Fi data connection and it allows hotspot connection. It is also used as a tethering device for PC internet usage via the USB cable which is microUSB. The Titanium S5 has Android browser. You can also browse through the third party apps from the play store. Titanium S5 comes with 2,000mAh battery. It has standard standby and talk-time value. But there is note that the battery life completely subject to the type of network and phone usage. On the whole Titanium S5 has better battery life. As mentioned, Titanium S5 is cheap smartphone with good features and performance. The actual cost of S5 is Rs.11,990/-. The price is less than Samsung Galaxy Grand Duos with the margin of Rs.10,000/-. Galaxy Grand Duos is the premium mobile which costs about Rs.21,500/-. The online price details as follows. Though there are many newly released premium smartphones Sony Xperia Z,LG Optimus G Pro ,Apple iPhone 5, Samsung Galaxy S4 turns the attention of the people towards them, they are high because of the branded features. 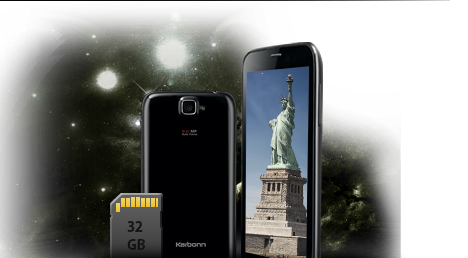 But the low budget mobile Karbonn Titanium S5 also has such premium features. The Indian smartphones are getting better with all the features equal to the premium mobiles and designs. The newly released Xolo A1000 got good market now . Now the Titanium S5 from the Karbonn mobiles.